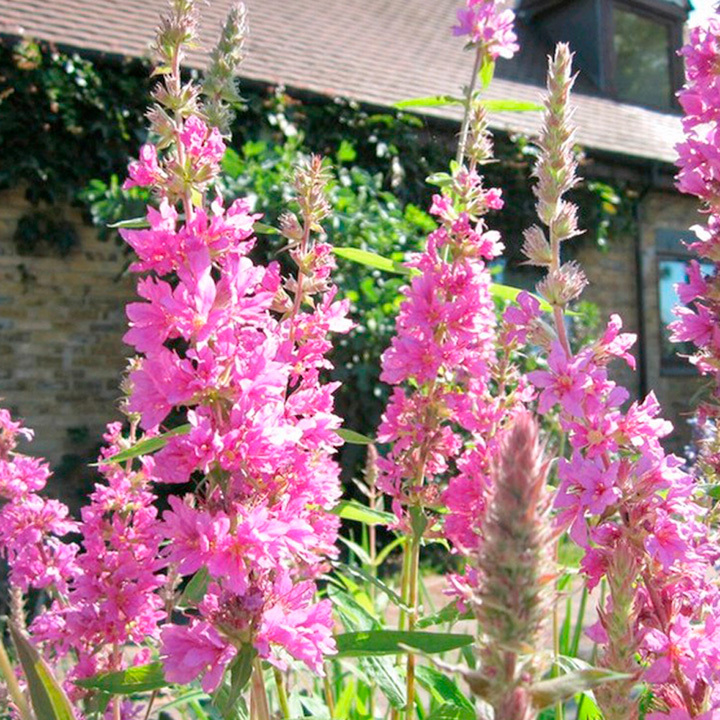 A stunning plant for a medium to large pond or lake. 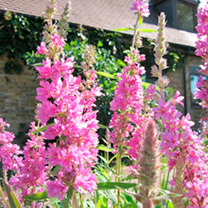 The tall pink blooms can be seen from some distance, it is free flowering over a long period in summer. Little maintenance is required. Trim to tidy but leave foliage to die back naturally to encourage winter bud formation. Minimum height 90cm; maximum height 120cm. Maximum depth 5cm. Native. Medium growth rate. Available in two pot sizes: 3 x 9cm pots or 1 x 1 litre pot.